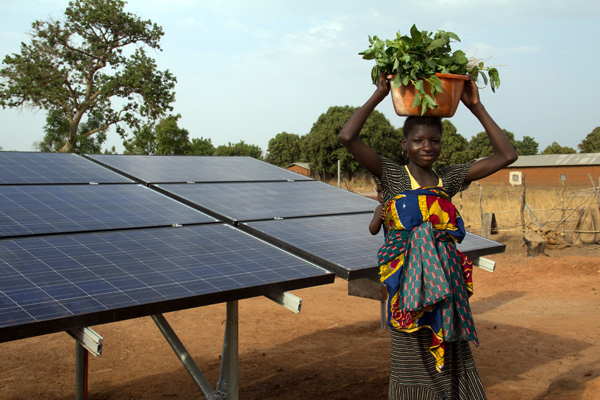 Last week Zambia set a new price record for utility-scale solar-generated energy in Africa with the support of the World Bank Group’s (WBG) Scaling Solar initiative. The auction for 100 MW (2×50 MW) resulted in a price as low as 6 cents/kWh. This is good news for the country, which much like the rest of Sub-Saharan Africa faces acute electricity shortages. Nearly 700 million people in Sub-Saharan Africa don’t have access to electricity. Zambia’s solar auction result followed a series of headline-making auctions in India, Mexico, Peru, and Dubai. In Dubai’s case, the price was as low as 3 cents/kWh — the lowest price ever offered for solar power. Solar auctions are effectively a competitive bidding process to build power plants and supply a specific quantity of electricity at a pre-agreed price over a specified period of time. There are a few reasons why Zambia’s outcome is more significant than Dubai’s. First, Zambia’s 6 cents/kWh price is fixed and won’t increase for 25 years. This makes the average price in real terms an even more astonishing 4.7 cents/kWh. Second, there aren’t any implicit or explicit subsidies involved in the deal, neither Zambia has a sophisticated and liquid financial market. The WBG simply helped structure the auction based on the best global practices – taking into account local specifications and providing a guarantee to back-stop the obligations of the national utility to pay for the electricity being supplied. Comment: This is a great piece of news for scaling solar. Very progressive development for Zambia. Energy diversification way to go! 6 cents per kWh is a pretty amazing price for large scale solar in Africa. By contrast, Ghana is paying 15 cents per kWh for thermal based power generation and about 6 cents per kWh for legacy hydro. Most heavy industries including the mines require average tariffs of less than 6 cents per kWh to stay competitive with similar imported products. However, light industries in Ghana are paying as high as 10 cents per kWh to survive whereas heavy industries pay anything from 18 – 26 cents per kWh, excluding service charges. Residential consumers pay 23 cents per kWh on average for power in Ghana. Any wonder most are on the brink of collapse?